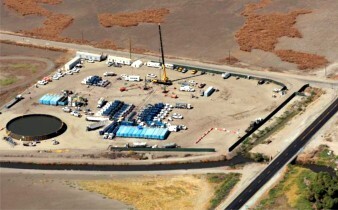 Under contract to the California Department of Conservation (DOC), Aspen prepared a Program Environmental Impact Report (EIR) assessing oil and gas well stimulation treatments throughout California, as required by Section 3161 (b)(3) and (4) of Public Resources Code Chapter 1, Division 3, (Senate Bill 4 [Pavley]), as signed into law on September 20, 2013 and subsequently amended in 2014 by Senate Bill 861. Section 3161 (b)(3) and (4) requires the Division of Oil, Gas and Geothermal Resources (DOGGR) to evaluate the impacts of well stimulation treatments that may occur from either existing or future oil and gas wells, including hydraulic fracturing and acid well stimulation. Aspen prepared the EIR’s Notice of Preparation, which was released in November 2013, and in December 2013 and January 2014 was responsible for all logistics, execution and facilitation of five public scoping meetings that were held throughout the State. The Draft EIR was completed and made publicly available on January 14, 2015. The Draft EIR evaluates well stimulation treatments geographically throughout the State according to DOGGR’s six administrative Districts, and additionally addresses three oil and gas fields in greater detail due to their historic or projected future use of well stimulation treatments. Development of the Draft EIR’s “Project Description” involved numerous collaborations with the DOC, DOGGR, and, through them, industry representatives, to accurately describe the various activities and details of hydraulic fracturing, acid matrix stimulation, and acid fracturing. Its completion is considered precedent setting as such activities had never been documented in detail before. Extensive Geographic Information System (GIS) analysis was additionally implemented to: account for all of the State’s existing oil and gas fields; identify potential future drilling and production locations outside of these fields (e.g., the Monterey Formation); and, screen-out those areas of the State where historic and future oil and gas production is not considered technically viable. The Draft EIR includes the analysis of the seventeen subject areas provided in Appendix G of the State CEQA Guidelines, as well as risk of upset/worker and public safety, environmental justice, offshore marine biological resources, coastal processes and marine water quality, and commercial and recreational fishing. Due to their breadth, some issue/resource areas were further refined to focus their respective analyses and streamline reader understanding. For the purposes of the Draft EIR, Aspen developed and analyzed six alternatives to the “Project,” and also prepared and analyzed an extensive list of on- and off-shore cumulative projects. During preparation of the Draft EIR, Aspen was also invited to engage in several meetings and discussion with other State agencies to ensure that their needs as responsible, trustee or interested regulators were appropriately addressed. The Draft EIR includes two volumes of nearly 5,000 pages text as well as a “stand alone” Map Book containing over 150 maps and figures. During its public review, which ran through March 16, 2015, Aspen assisted with the planning and facilitation of six public meetings that were held throughout the State. The document was finalized in June 2015.